Quantum Break, the new cinematic game developed by Remedy Entertainment, has finally been released in all regions on Xbox One and PC. While the Xbox One version doesn’t suffer from any major issue, the same cannot be said about the Windows 10 release, with players experience a variety of issues that make the experience not so enjoyable. Remedy has yet to officially acknowledge the matter, but it seems like the team is well aware of everything that’s going on. In a post on the NeoGAF forums, Remedy Entertainment head of PR Thomas Puha stated that the team is monitoring the whole situation and what’s going on. He has assured players that a lot of work went into the Windows 10 release and that they are currently looking at potential issues, so something more concrete on the matter should be coming soon. On a related note, the team is aware of some of the other issues plaguing the game, and a fix for some of them will be coming soon. A few hours ago, it’s been confirmed by the Remedy Entertainment Official Twitter profile that the blinking lights bug will be fixed in the next title update. Very good news, considering this issue is quite annoying. 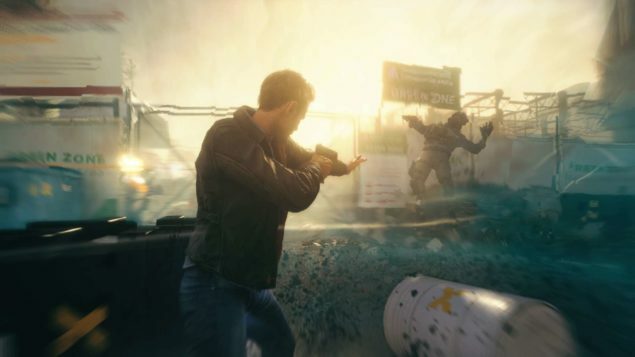 Quantum Break is now available on PC and Xbox One in all regions. We will keep you updated on possible fixes for the Windows 10 release as soon as more comes in on the matter, so stay tuned for all the latest news. Wccftech’s Best Action/Adventure Games of 2016 – The Most Popular Genre?